Village étape in France, what’s that ? A genuine alternative to the service areas on the French motorways, the Village étape services provide drivers with all facilities to enjoy a break in a pleasant and quiet place. Located at less than 5 km or within 5 minutes from the exit of the main road, a Village étape is a small town with less than 5 000 inhabitants which is eager to preserve its authentic environnement. 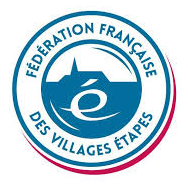 The Villages étapes national network is a state certification granted by the french ministry for sustainable development. 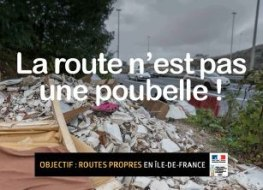 Villages étapes are only available along the national road network under state management. They therefore can be found in the vicinity of free public motorways or national roads. There are none on other motorways (run by private companies) or on departmental roads. Consult the map of the "Villages étapes" network (Format pdf - 3.9 Mb - 30/08/2016). The certification is based on a contract agreed upon by both the state and the village. The convention is valid for 5 years and can be renewed. 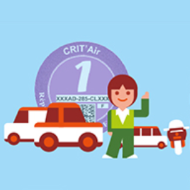 The French ministry delivers this certification to villages which fulfill the requirements. In return for their commitments to upgrade the village in order to best welcome the drivers, the ministry settles road signs mentioning the village. 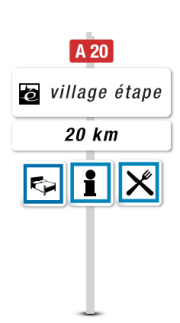 Villages étapes provide the motorists with all they need for their journey. In order to better welcome the drivers, the ministry puts up road signs mentioning the village, carparks, picnic areas and many more services, always located in a nice place. To take a break in a Village étape is an opportunity to discover or rediscover the countryside. Every Village étape is supplied with a tourism information office which may provide you with a a wide range of activities depending on your time and hobbies, from tours around local places of interest to hiking throughout the region. is a supplementary income for small township.